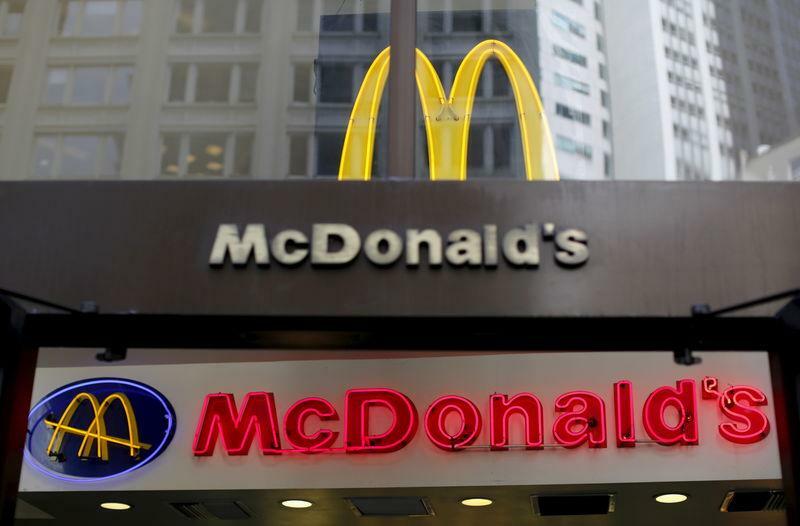 (Reuters) - McDonald's Corp (MCD.N) said it will stop reporting monthly same-store sales after June, becoming the latest major U.S. retailer to stop reporting the closely watched indicator to gauge overall spending trends and a company's financial health. From July, McDonald's will report only quarterly comparable sales, which newly-appointed chief executive, Steve Easterbrook, said would be a better measure of sales at the world's biggest restaurant chain. "Disclosing comparable sales as part of our quarterly reporting is consistent with nearly all retailers and will provide a greater understanding of McDonald's sales results in the context of the company's overall financial performance," Easterbrook said at the Sanford Bernstein analysts' conference on Wednesday. Easterbrook, who took over as CEO in March, also said the move would help McDonald's focus on longer-term actions as part of a plan to turn the fast-food chain into a "modern, progressive burger company". Same-store sales at McDonald's restaurants globally have fallen for 11 straight months through April, prompting the company to announce a turnaround plan, which includes cutting costs, reorganizing business units and selling restaurants to franchisees. A large number of U.S. retailers have stopped reporting monthly same-store sales in recent years, including the world's largest retailer Wal-Mart Stores Inc (WMT.N), Target Corp (TGT.N) and Starbucks Corp (SBUX.O). McDonald's last monthly same-store sales report will be for June and will be issued along with its second-quarter results, expected some time in July. The company's shares were up 0.4 percent at $98.90 in morning trading on the New York Stock Exchange.